just 20 minutes and the Hoover Dam in 40 minutes. Pets are discretionary-call for approval. Fenced-Off Heated Swimming Pool, Sunken Roman Jacuzzi Bathtub in Master Bedroom, Pool Table, Ping-Pong, Knock-Hockey, 35" Sony TV, Cable TV in Every Bedroom. Large Corner Lot. Backyard is not over-looked by any neighbors. Pool Table with switchable Ping-Pong or Knock-Hockey top. 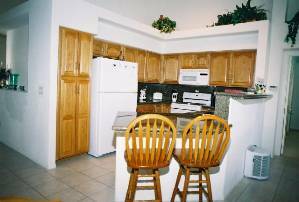 Kitchen offers granite counter tops, stainless steel sink, blender & coffee maker. 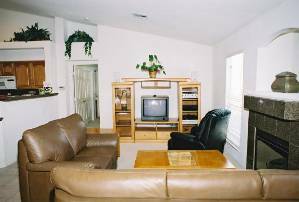 The family room offers leather seating, TV, DVD & VCR along with a high end stereo system. 1st Master offers a king size bed, TV, VCR & sunken jetti hot-tub. The 2nd Master Bedroom has its own bathroom and stall shower. It also has a magnificient view of the pool. 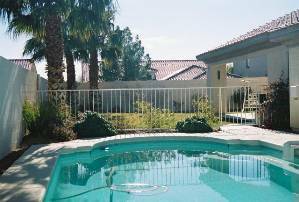 The corner lot backyard has a fence to divide the pool area from the grass/play area. 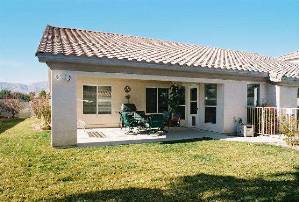 You can enjoy the covered patio, natural gas BBQ & Mountain Views without being over-looked by the neighbors! We had a great time at your home. It was a great place for our family get together over the holidays. We loved all the entertainment you had set up for us and the quiet neighborhood it is in. We all enjoyed being away from the casinos and having a place where we could cook our own meals and enjoy the fresh non-smoke filled air. We'll be back real soon! Mr. Gordon, We had a great time at your home. It was a great place for our family get together over the holidays. We loved all the entertainment you had set up for us and the quiet neighborhood it is in. We all enjoyed being away from the casinos and having a place where we could cook our own meals and enjoy the fresh non-smoke filled air. We'll be back real soon! family who may be visiting the Las Vegas area! The house was great! I'll definitely recommend it to my friends and family. 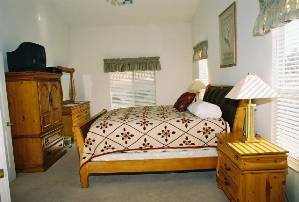 We wanted to let you know how much we enjoyed staying in your LV home. Even with seven people, it felt quite spacious, with plenty of privacy. 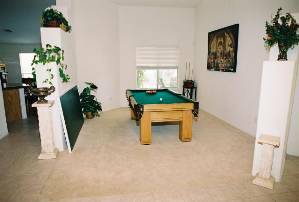 With four teenagers, the pool and the pool table were put to good use, and with TVs in each room there certainly weren't arguments over what to watch on TV! Hope you didn't mind the teddy bears our kids left. They are desert bears, and just couldn't bear the thought of moving to New England. Hopefully you know someone small who will enjoy them. 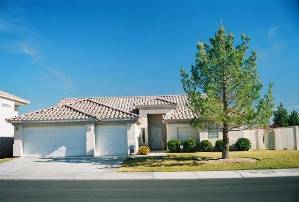 Again, we enjoyed renting from you, and will keep you in mind if we ever know anyone looking to rent in the LV area. Again, thank you, and continued success with your rentals! We had a great time! This house was perfect for our party of 4 adults and 3 children. Our boys had plenty of room to play and really enjoyed the pool table. Although the Vegas weather was a little chilly, our rugid Wisconsin boys also enjoyed the heated pool. We highly recommend this house for a family vacation! 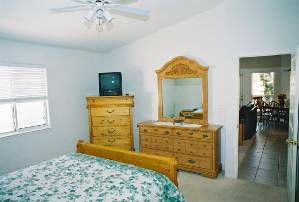 Sunday-Thursday Rate: $279 Friday & Saturday Nights: $299 Monthly: $3999 Rates May be Higher During Holidays. Discounts for extended stays. Fill-in my month specials-Call! Cancellations and Refunds: 100% Refund with a 60 day notice. 75% Refund with a 30 day notice. 25% Refund with a 20-30 day notice. No Refund with less than a 20 day notice.